In Cuyahoga County, household hazardous waste including pesticides, automotive fluids, mercury and flammables are collected by city service departments. Find details for your community. The District partners with the 59 communities in the county to offer local, frequent collection events for disposal of household hazardous wastes (HHW). 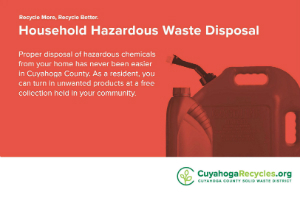 The Household Hazardous Waste Disposal Program is free to all Cuyahoga County households and provides the environmentally-safe disposal of hazardous, poisonous or toxic household products that cannot be disposed in the regular trash. Household hazardous waste is collected from residents by the city service department and is delivered to the District’s year-round Special Waste Convenience Center. Collection events are held only at city service departments. The District's facility is not open to the general public. Most communities will only accept and manage waste from their own residents. Consider donating still usable materials (furniture polish, air freshener, pool chemicals, paint) to a friend, neighbor or organization that may be able to use the unwanted products. Household hazardous wastes are materials that are marked dangerous, caustic or flammable. The District can only accept materials that originated from a household and not a commercial source. In accordance with Federal Law, our contractor is not allowed to accept or transport business waste with household waste due to EPA classifications. Currently, household hazardous wastes are not regulated and are exempt from RCRA classification. "Household” sources are defined as single and multiple residences. The law defines “non-household sources” to include schools, farms, universities, churches, doctor and dentist offices, government facilities, nonprofit organizations, hospitals, commercial businesses (both small and large), and manufacturing facilities. Businesses and organizations with hazardous waste can find disposal options in our Business Recycling Directory or by calling our Business Recycling Specialist at 216.443.3732. [video] See more about disposing of household hazardous waste. Dried-out paint cans, empty aerosol cans and other empty containers can be placed in the regular trash for disposal. Empty motor oil and antifreeze jugs may have residue of the hazardous materials they held and should also be placed in the trash for proper disposal. Do not place any of these items in your recycling. 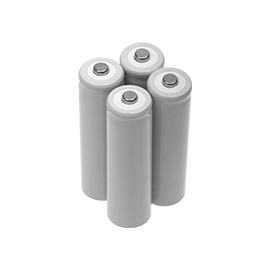 Alkaline batteries can be safely disposed in the regular trash when the power is depleted. Rechargeable batteries should be taken to a retail store dropbox or battery shop for recycling. The retail store dropboxes are free and do not cost taxpayers any money. See details. Businesses can find disposal options for batteries and other hazardous wastes in our Business Recycling Directory or by calling the District's Business Recycling Specialist at 216.443.3749. Blue Rhino retail locations offer a free recycling program for 20# grill tanks. If you have a gas grill propane tank that you no longer need and would like to recycle, write “RECYCLE” on the tank and take it to any Blue Rhino location. This free program does not cost taxpayers any money. Learn more. Helium and oxygen tanks should returned to the supplier, point-of-purchase or recycled at a scrap yard. See details. Fire extinguishers can be emptied and recycled. See instructions. 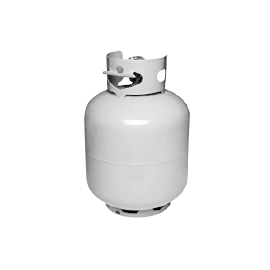 Tanks of refrigerant are not typically found in a household. 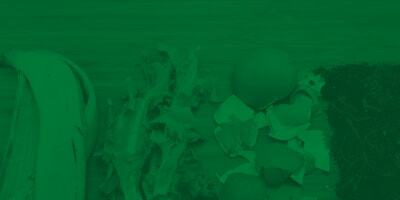 Learn more about disposing of refrigerant. 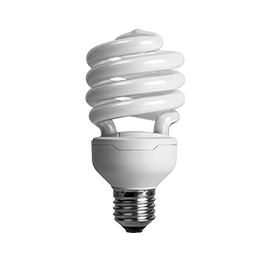 Compact fluorescent bulbs (the small, twisty CFLs) can be recycled for free at Home Depot and Lowe's retail locations. Look for a drop box near the main entrance or customer service desk. The retail store dropboxes are free and do not cost taxpayers any money. Batteries+Bulbs retail stores also accept many types of lamps for recycling. See our fluorescent bulbs page for details. Businesses and residents can find disposal options for fluorescent lamps and other hazardous wastes in our Business Recycling Directory or by calling the District's Business Recycling Specialist at 216.443.3749. For details on cleaning up a mercury spill or broken thermometer, see these guidelines from the U.S. EPA. The U.S. EPA also has guidelines on how to deal with mercury-containing compact fluorescent light bulbs that break in the home. CFLs contain a small amount of mercury sealed in the glass tubing. When broken, some of the mercury is released as mercury vapor. The bulb will continue to leak mercury vapor until it is cleaned up and removed from the home. 1. Homeowners should clear the room of people and pets, and then open a window or door to the outdoors for 10 minutes. Central heating and cooling systems should be turned off as well. 2. All broken glass and visible powder from the bulb should be placed in a sealable container, along with anything used to clean up the broken bulb. 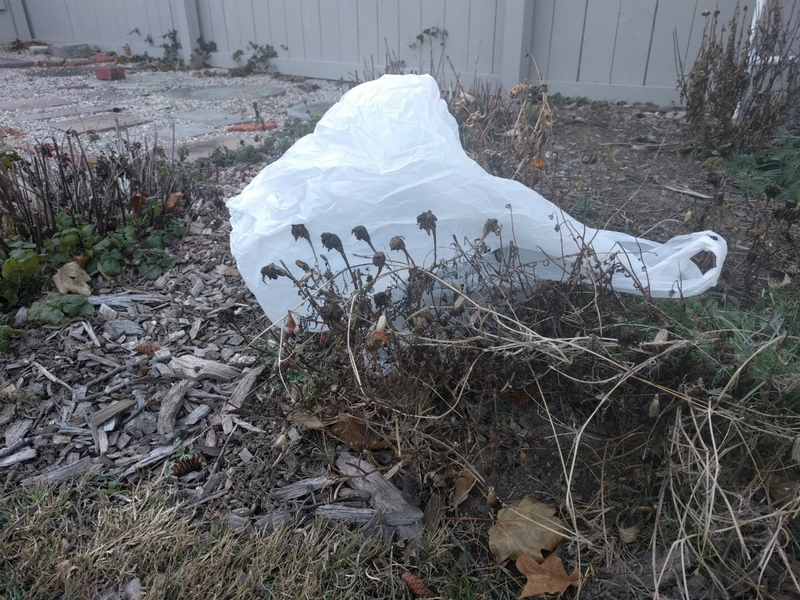 The container should then be placed in an outdoor trash container or covered area until the materials can be disposed of properly. 3. For several hours after the breakage, continue to air out the room and leave HVAC systems off. For detailed information on proper CFL disposal and printable brochures, see the U.S. EPA guidelines for CFL bulbs. The District does not accept latex paint. Latex paint is comprised mostly of water and is not a hazardous material. To dispose of latex paint, solidify and place in your curbside trash. For detailed instructions, see our page on disposal of latex paint. 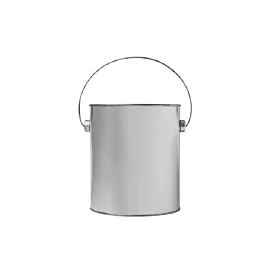 Dried out paint and/or empty paint cans are not hazardous and should be placed in the regular trash. [video] See how to dispose of latex paint.